When you’re pulled over on the suspicion of drinking and driving, the police officer will likely ask you to take a breathalyzer test. While you do have the right to refuse chemical testing, doing so comes with the penalty of an automatic license suspension. It’s usually in your best interest to take the test, but what happens if you fail? Failed breathalyzer results can be challenged in court — here’s how. Police officers have a variety of protocol that must be followed in order to properly administer a breathalyzer test. For example, the officer will usually be required to observe you for a period of time before the test. This makes sure you don’t consume any food or liquids. The officer will also need to provide you correct instruction on how to take the test. If the officer fails to do so, the results of the test may be considered inaccurate. Was the Equipment Calibrated Correctly? Breathalyzer testing equipment must be calibrated and maintained in order for them to produce accurate results. Officers are required to keep a log of when their equipment was last calibrated and how it was done. Uncalibrated equipment can produce false negatives or false positives. Therefore, a defense attorney will likely ask the court that the calibration log be produced. If it cannot be produced or it is determined that the equipment was uncalibrated, it’s possible that the test results may be thrown out. Do You Have Medical Explanations for a Higher Than Legal Reading? 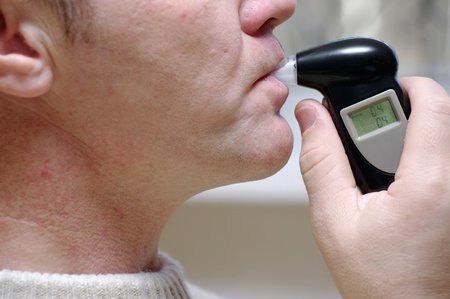 In some cases, it may be beneficial for your DUI Attorney to argue that there’s a rational medical explanation as to why the breathalyzer test result was higher than the legally allowed limit. For example, if you have health conditions, such as acid reflux or Gastroesophageal Reflux Disease (GERD), you may regurgitate the contents of your stomach into your mouth. This leads to a higher mouth alcohol level that is not a true reflection of your blood alcohol level. An attorney will likely go over your health history with you to determine if there are any established reasons why your test came back higher than the limit. At Llinas Law, LLC, we have the experience and resources to provide you comprehensive legal representation after a DUI arrest. We understand the stress you are under and are ready to offer you compassionate, zealous counsel. Call now for a consultation at 860-530-1781.